This blog is republished with permission from Neutricks.com. The Grey Muzzle Organization is proud to be the featured organization for November and December. Learn more. If your dog is in one of these categories, you may be considering making the switch to a senior formula dog food. Here is what you need to know in order to compare labels and choose the best senior dog food for your pet. Calories and Protein: More or Less? When looking for the right dog food for your older dog, don’t just consider age – also think about their activity level and weight. As dogs get older, many are less active and require fewer calories. Because of this, many senior dog foods are lower in calories and protein. If your dog has gained weight as they have gotten older, a formula like this can be the right choice. However, there are also many senior dogs that have trouble metabolizing food as well as they did in the past, becoming quite skinny. If this is the case with your dog, they need a food with more calories, and more easily-digestible protein, not less. This is essential to helping your dog maintain muscle tone. If you do choose a lower calorie senior dog food, make sure it still has plenty of high-quality protein. Beyond the number of calories and grams of protein, many senior dog foods contain additional ingredients that can benefit your pet. Here are a few of the most common additions, and what they can do. Glucosamine and Chondroitin: These cartilage-helping joint supplements can help many senior dogs get moving with less pain. Antioxidants: Senior dogs can benefit from the extra support for their immune systems that antioxidants can provide. 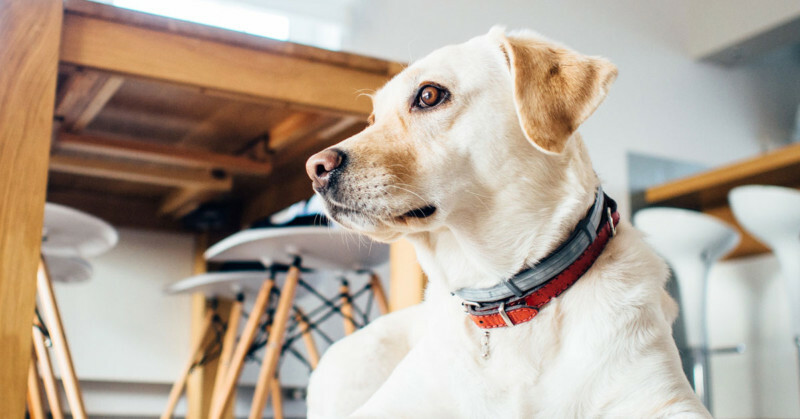 Decreased levels of Phosphorus and Sodium: Lower levels of phosphorus can help maintain healthy kidney function, and decreases levels of sodium can help to keep your dog’s blood pressure normal. Omega-3 Fatty Acids: Found in fish oil and certain plant and nut oils, omega-3 fatty acids can decrease inflammation and help with kidney health. Extra Fiber: senior dogs can have trouble with constipation, so a food with extra fiber may help. Too much fiber can also cause problems, so it is often a better idea to control constipation by making sure that your dog gets enough exercise, and you can try adding additional fiber to their food (canned pumpkin is one easy idea) when needed. When choosing the best senior dog food for your pet, it is essential to consider their unique needs, and know that those needs may change over time. The right food can have a big impact on your dog’s health, so do your research and talk to your vet in order to find the right diet for your old friend.